Do you want to give your family a healthy dose of protein and veggies in the morning but don’t have a lot of time to for complicated breakfast recipes? 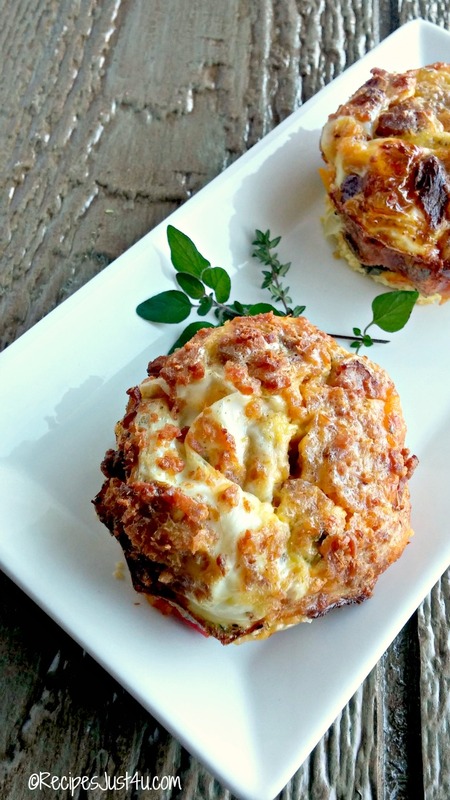 Try making these tasty bacon and veggie breakfast egg muffins. They are super easy to make and so, so tasty. 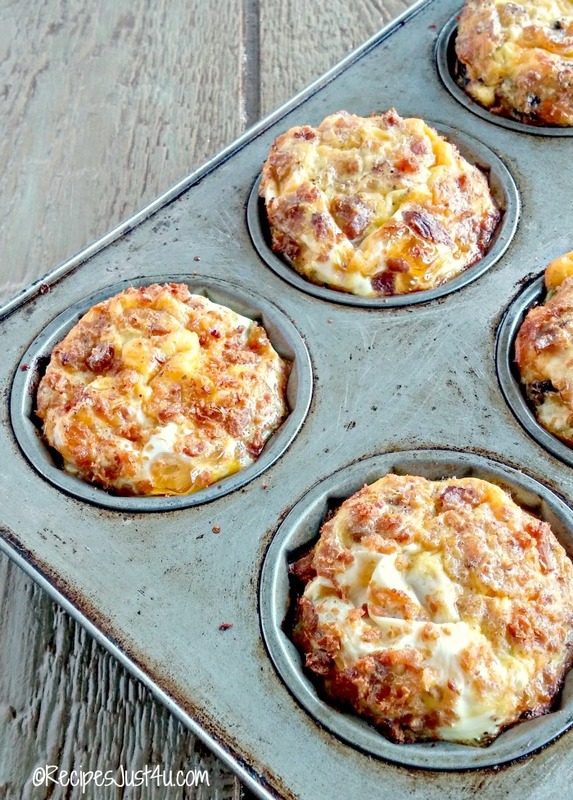 These bacon and vegetable breakfast egg muffins are quick and easy to prepare. What I love most about these muffins is that I can make them one morning and then have them ready to pop in the microwave for the next few days. They reheat beautifully and can be a quick breakfast on the go. My recipe is for 6 large sized egg muffins, but it can easily be doubled or tripled to save you time over the next week if you have several family members. 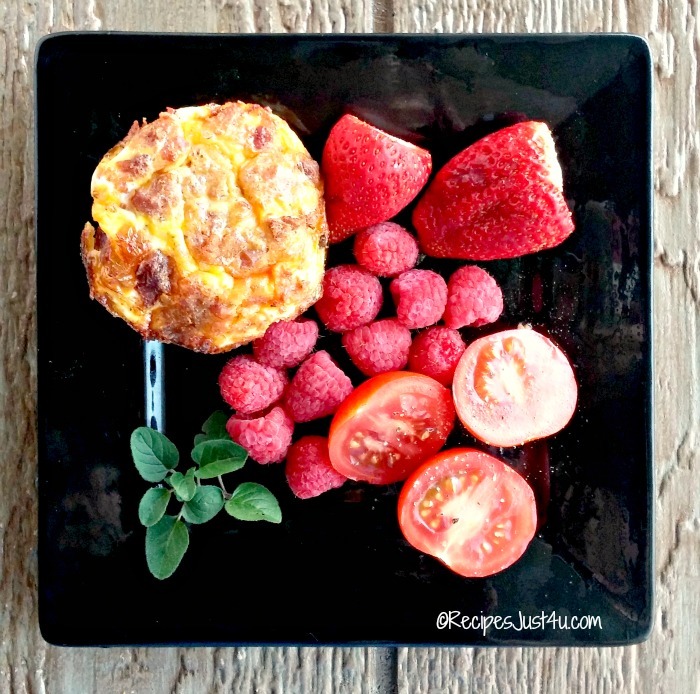 The breakfast egg muffins could not be easier to make. I started by chopping up some fresh veggies. For us, it was small portabello mushrooms, sweet red and yellow peppers, some diced onions, and some chopped broccoli florets. 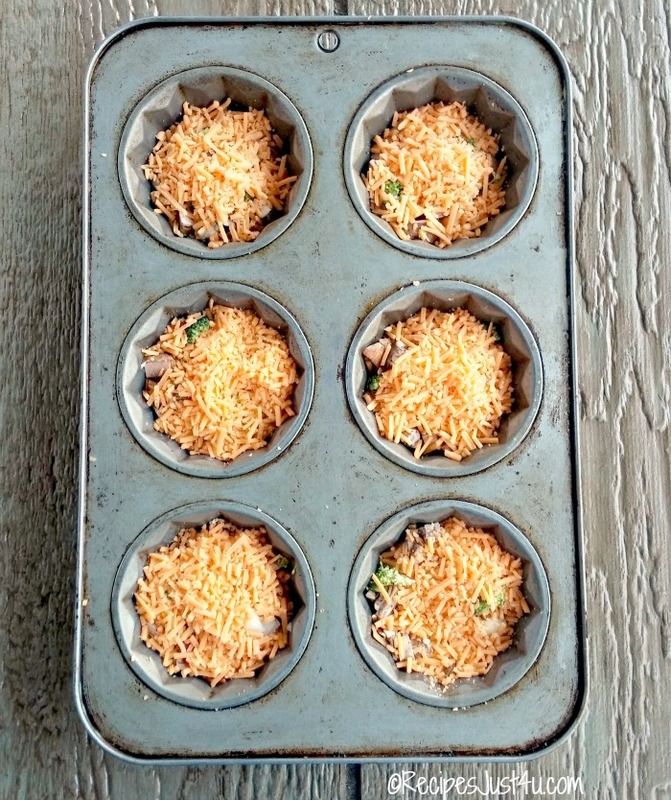 But the beauty of these muffins is that you can add whatever you want in the bottom of the muffin pan and can tailor make each one for a different family member. Now, it’s scrambled egg time. Since I wanted extra large muffins, I used 8 eggs, some skim milk, salt and pepper, some Italian seasoning and a bit of baking soda. The baking soda helps the mixture to rise nicely so that the muffins actually look like muffins. ‘Cause we just can’t be calling them muffins if they are flat chested, now can we? Whisk it all together and pour the egg mixture over the veggies and cheese. I filled my muffin cups almost to the top. The final step is to sprinkle bacon bits over the top. You can use real bacon if you wish, but that adds to the time to make these and I was in a hurry today. Cook the breakfast egg muffins at 375º F for 20-25 minutes until the tops have risen and are nicely browned and the eggs are well cooked. I can’t wait to try one of these! 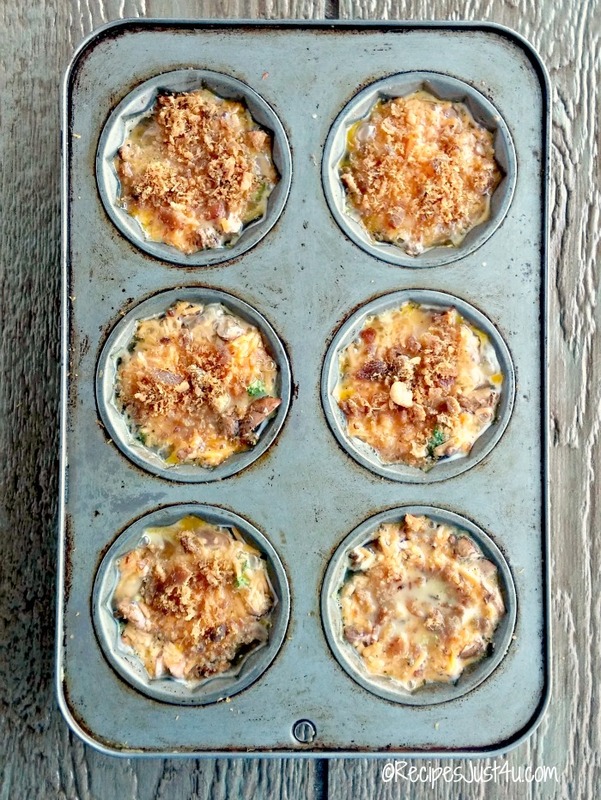 The muffins are light and fluffy and somewhat hearty with the cheese and veggies. They keep their shape well too, so are perfect for a breakfast on the go. Add some fresh fruit and a few Campari tomatoes and you will have a breakfast that the family will ask for again and again. So tasty! To reheat them in the next few days, just place one muffin on a microwave plate and heat it in the microwave for about 20-30 seconds. Easy peasy. Make them once and enjoy them for days! 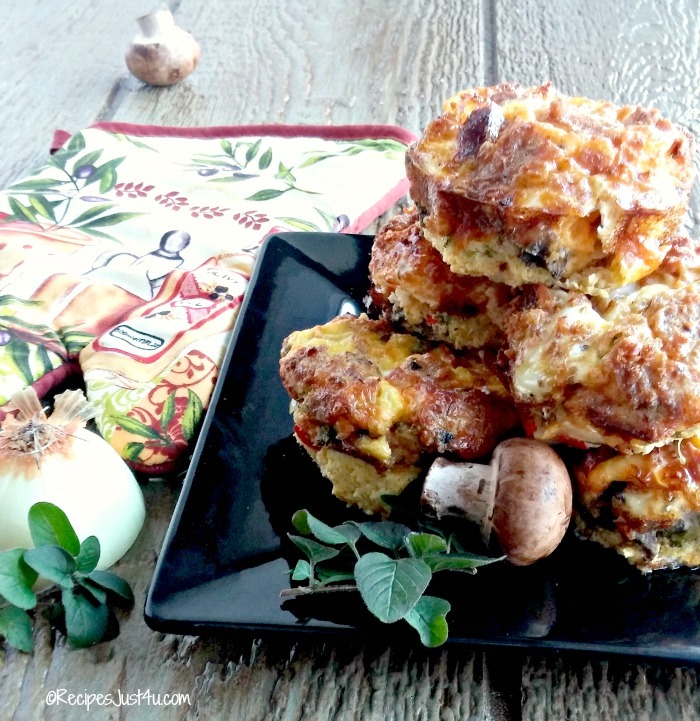 For another great bacon and egg breakfast combination, try this Breakfast casserole. It is hearty and just delicious. And this chicken breakfast hash is an amazing way to start the day. 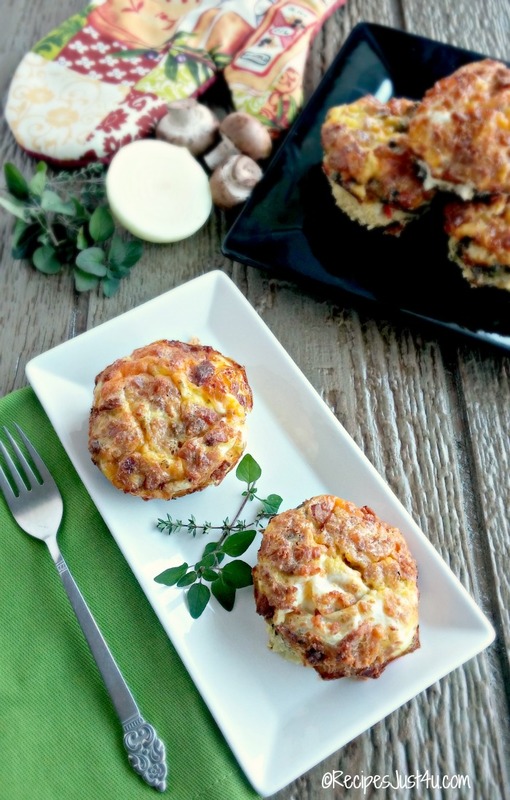 Start the day in a healthy way with these individual sized egg muffins. Spray a muffin tin with non stick cooking spray. I used a super sized muffin tin, not a normal sized muffin tin. 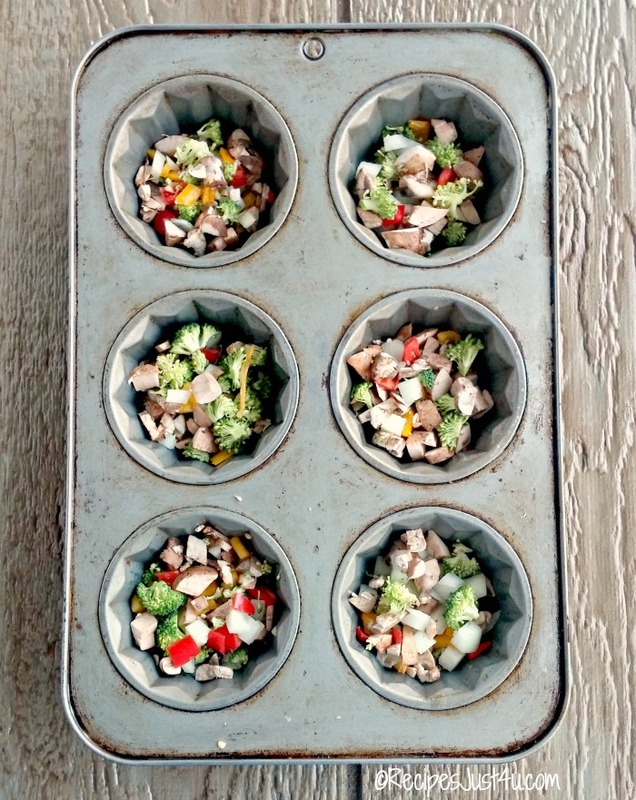 Add the chopped veggies in the bottom of the muffin cups. Top with the shredded cheese. 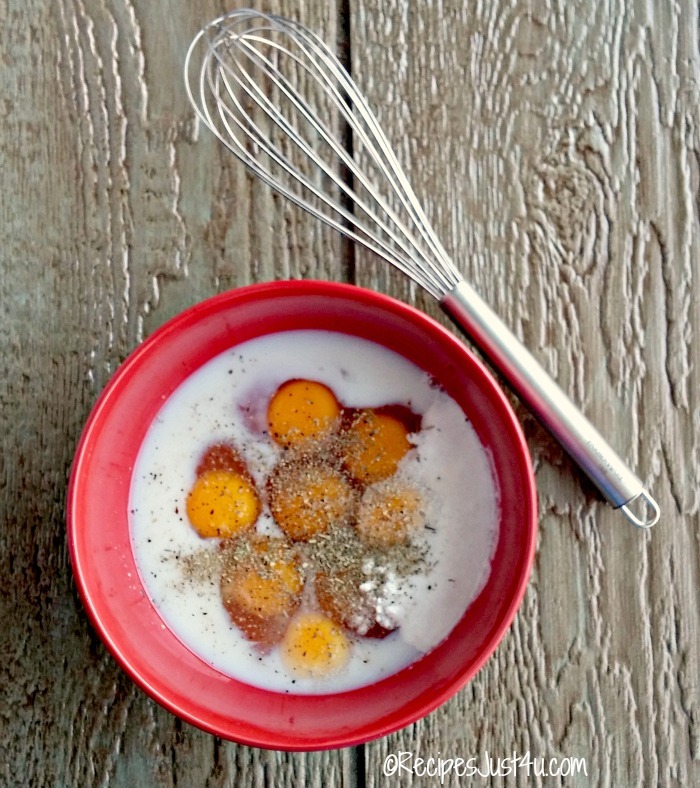 Whisk together the eggs, baking powder, salt and pepper, skim milk and the Italian seasoning. Pour the egg mixture over the veggies and cheese. Cook for 20-25 minutes until the muffins are nicely risen and lightly browned and the eggs are well cooked. To reheat later, place one muffin on a microwave safe plate and heat for 20-30 seconds. Enjoy!